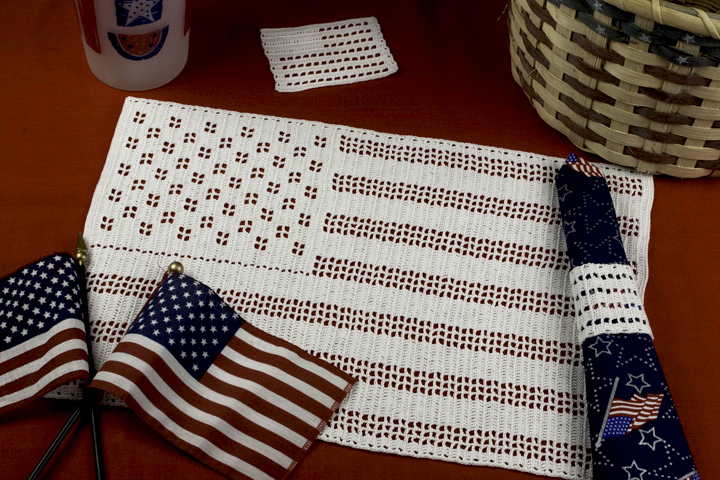 This filet crochet placemat set will put the “finishing touch” on your July 4th table setting. The realistic U.S. flag on the placemat has 50 stars and 13 stripes. Basic stitches are used throughout the set (chains, single crochet, double crochet and slip stitches). If desired, you can frame the placemat and use it for a July 4th wall decoration instead! The pattern includes written instructions and filet crochet charts.